Hawaii is installing a lot of photovoltaics. 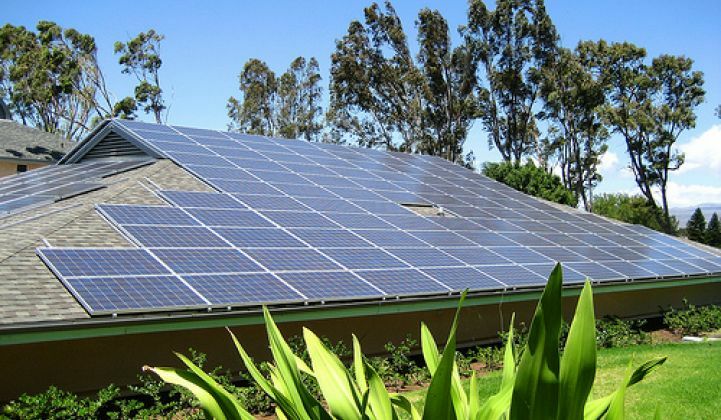 2012 was a breakout year for the Hawaiian solar market. A combination of very high electric rates and "an overly generous 35% tax credit," in the words of Andrew Krulewitz of GTM Research, make the economics of solar in Hawaii a no-brainer. Indeed, solar in Hawaii even makes sense without the 35 percent in-state tax credit. Systems make economic sense based on net metering and the 30 percent ITC alone. According to GTM Research, 36 megawatts of PV came on-line in the first quarter of 2012. There is 208 megawatts of cumulative PV solar installed across the HECO, HELCO, and MECO territories. GTM Research sees Hawaii installing in excess of 150 megawatts this year, according to the 2012 U.S. Solar Market Insight report. Jigar Shah and Marco Mangelsdorf, president of ProVision Solar in Hilo, recently wrote, "The Hawaii solar industry can phase out the state tax credit and lead the way to a sustainable and fiscally prudent Hawaii." Here's a concise infographic that details the subsidy-rich solar environment in Hawaii. It is used with the kind permission of the author, Alternate Energy, a Hawaiian solar installer. Note the striking rise in Hawaii electric prices over the last several decades.